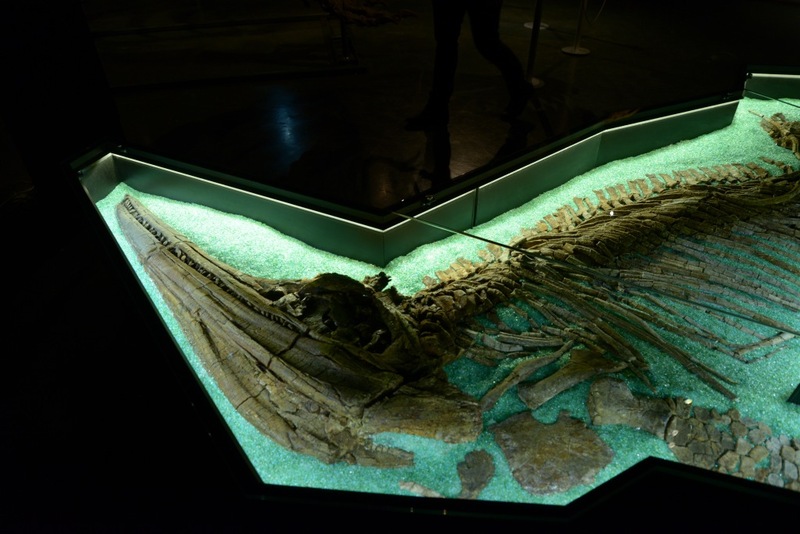 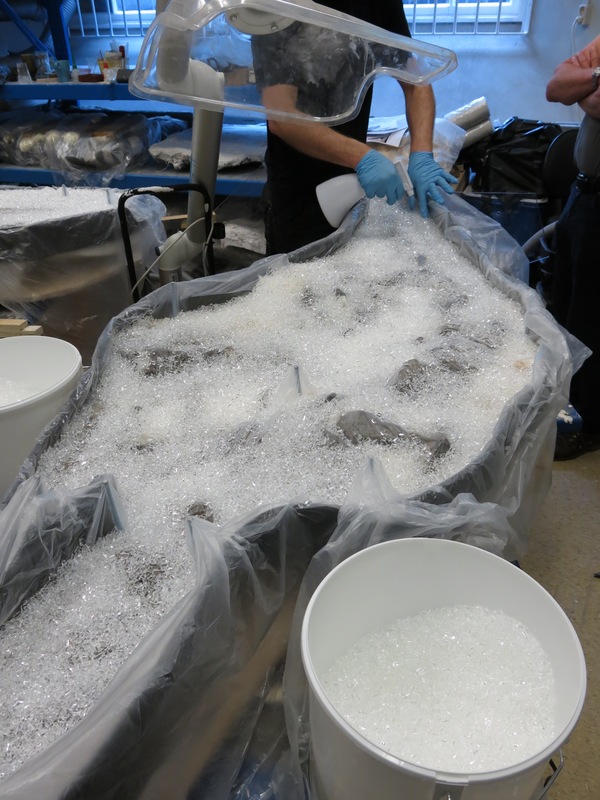 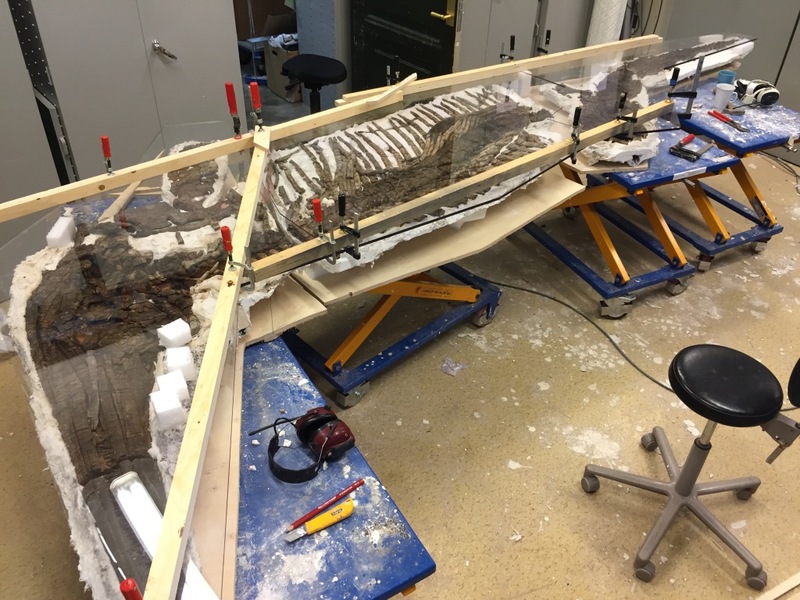 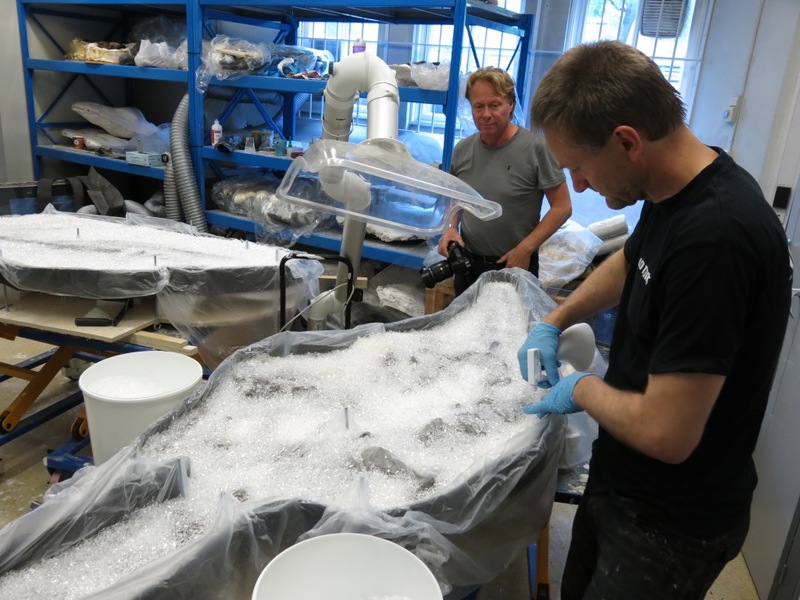 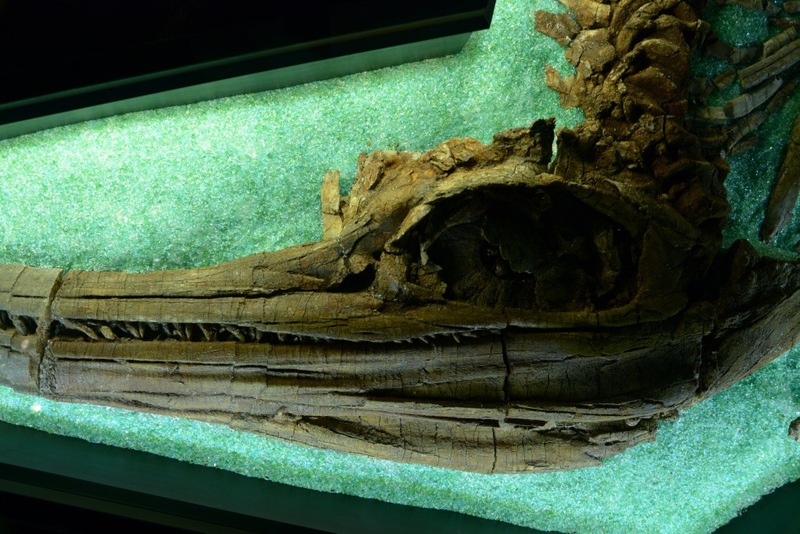 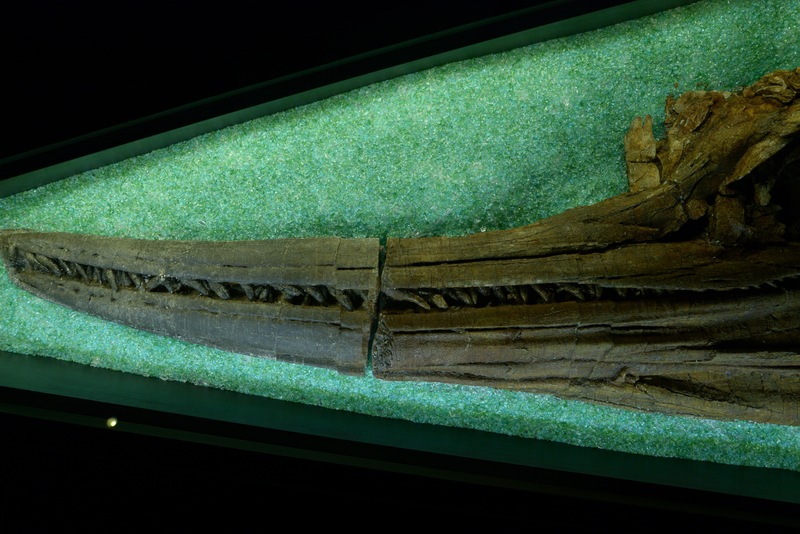 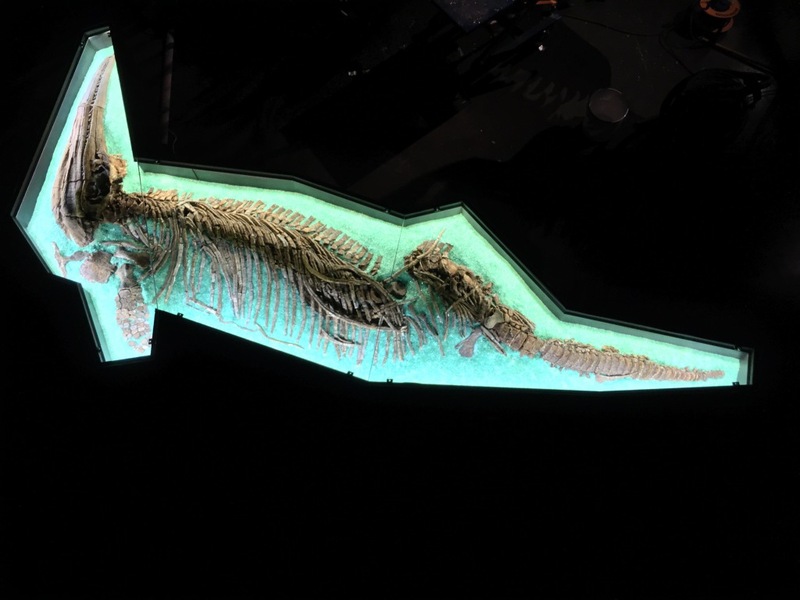 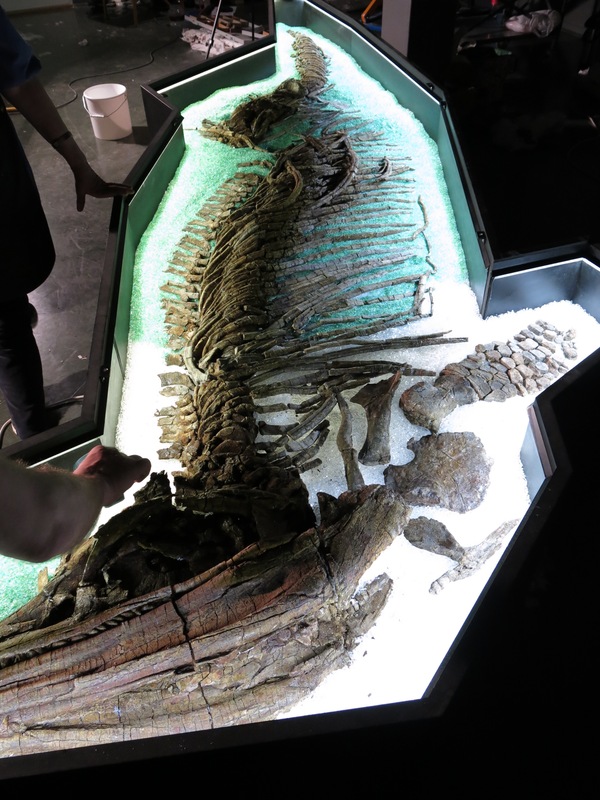 Natural History Museum in Oslo asked 10 Tons to design a display case for their 5 m. Ichthyosaur fossil from Svalbart in a cool way. 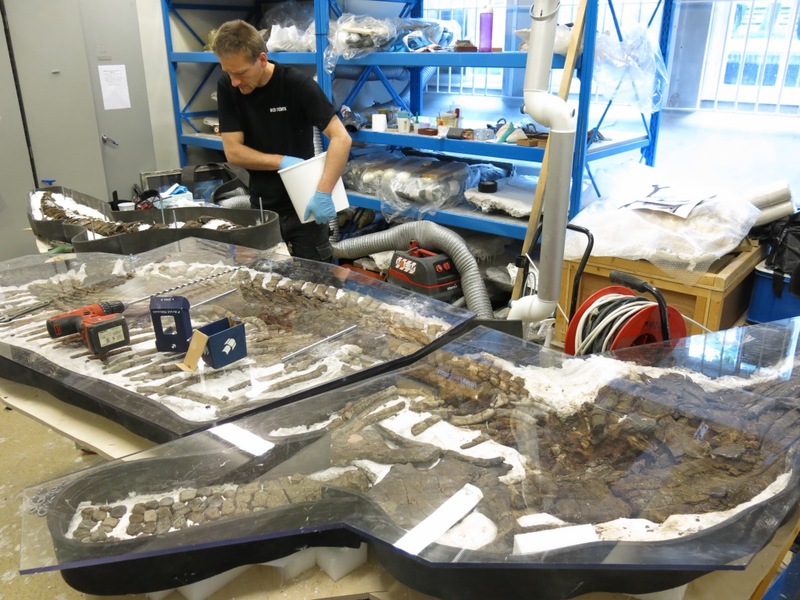 They asked us if we could display it on a crystal clear back ground. 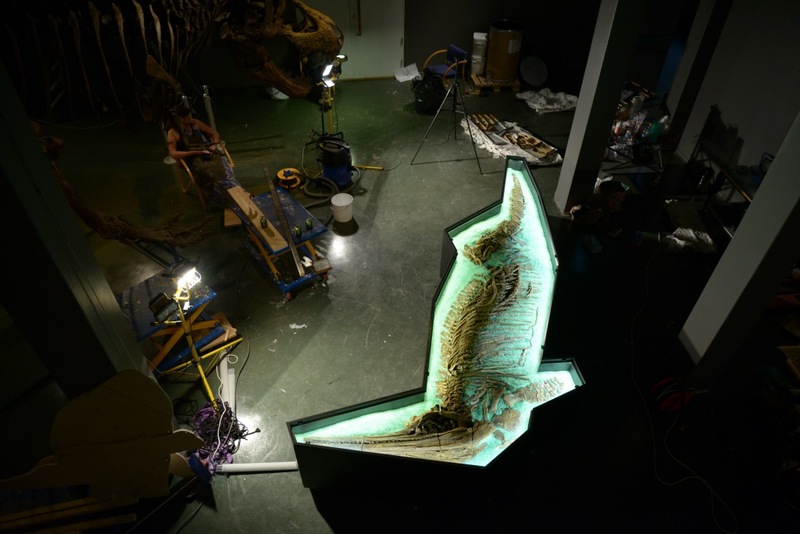 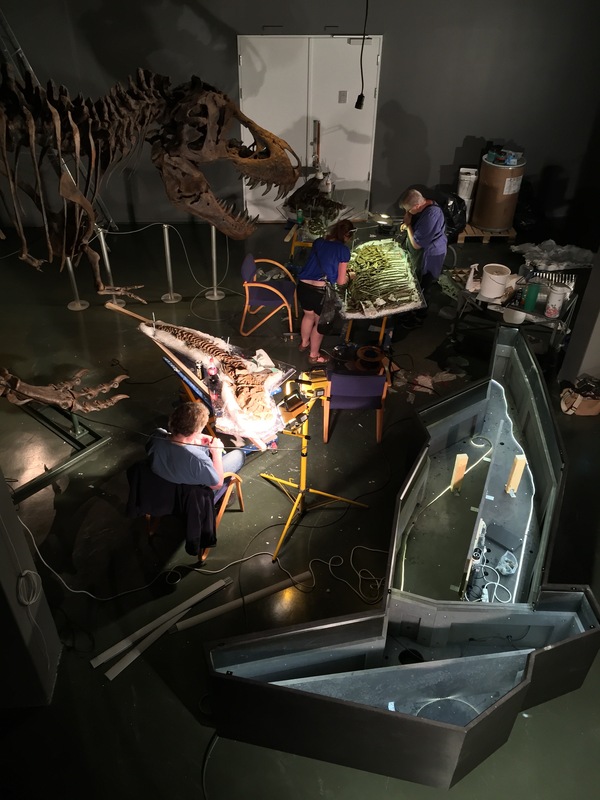 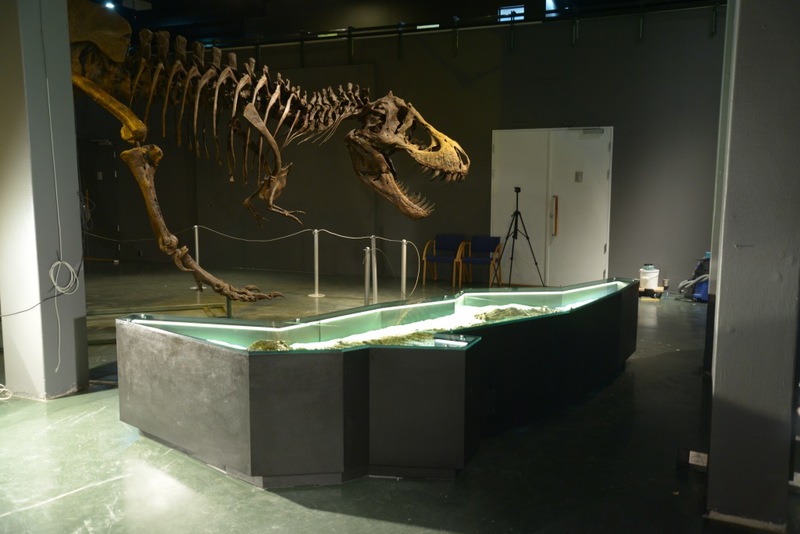 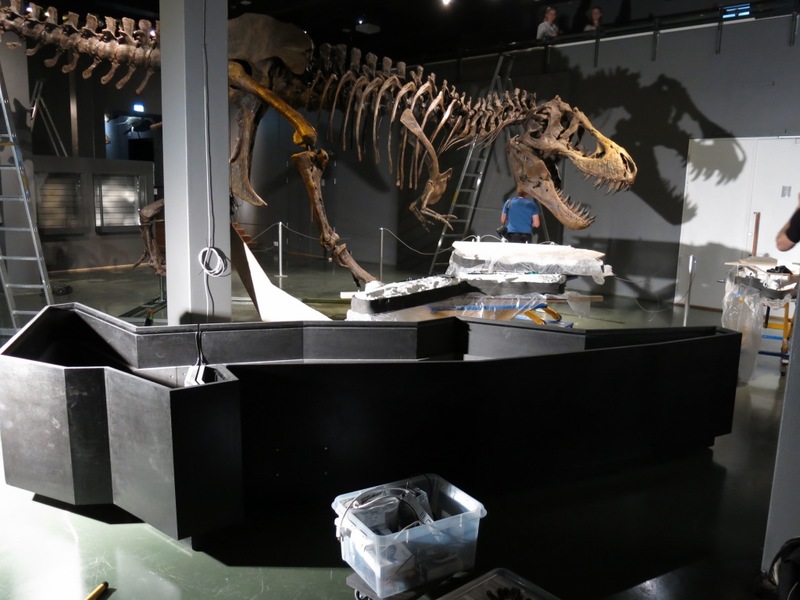 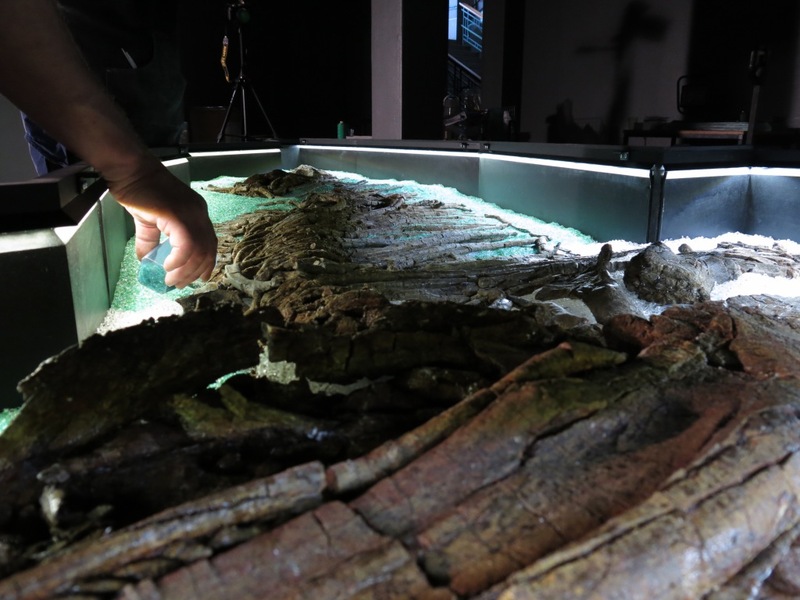 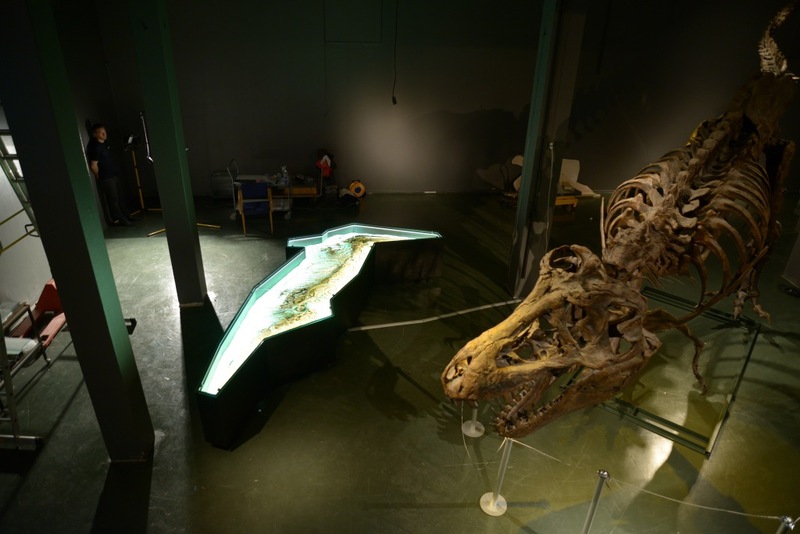 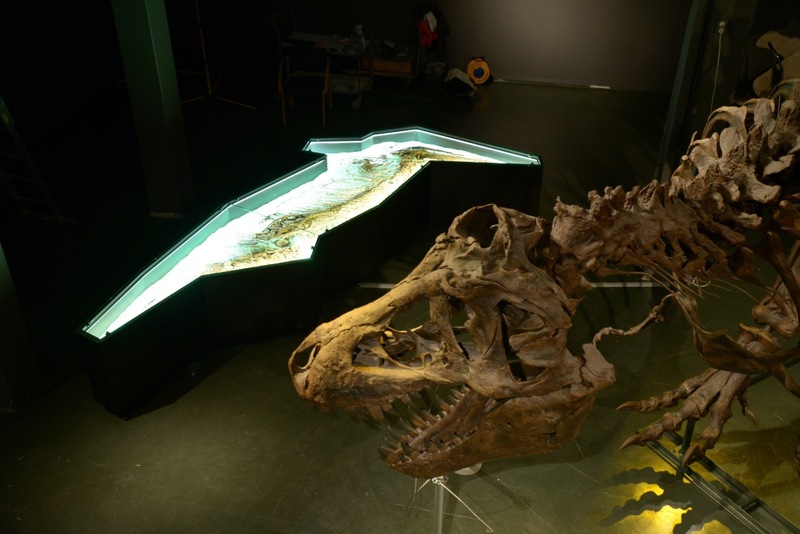 In cooperation with Ole P from Traktor we developed the idea for this display case and developed a technique to display the fossil lying free on a semitranslucent back lit bed of Parloid and glass powder. 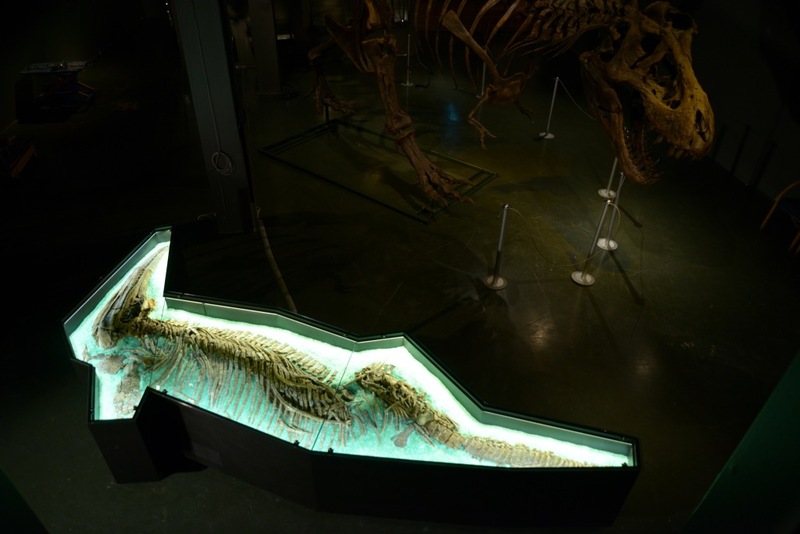 Ole P designed the display case.